This traditional in style chest will transform the look of your bedroom settings. This utility chest features five drawers along with antique knobs and metal bail handles. Drawers features ideal spot to set clothes, files, or other knickknacks and home accessories. 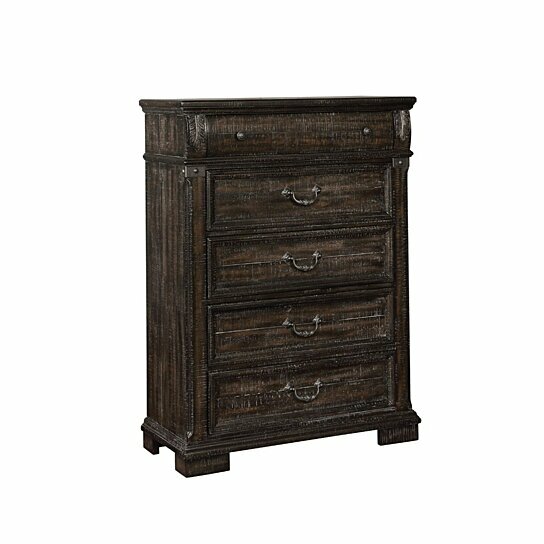 Supported by bracket feet, this chest featuring rustic brown finish that will blend perfectly with any decor style. It features five spacious drawers along with metal knobs and bail handles. It has wooden bracket feet that provide it a good support.